Savory Kitchen Table: ARE YOU READY FOR SOME FOOTBALL? I can't believe pre-season is almost over and it's almost time! 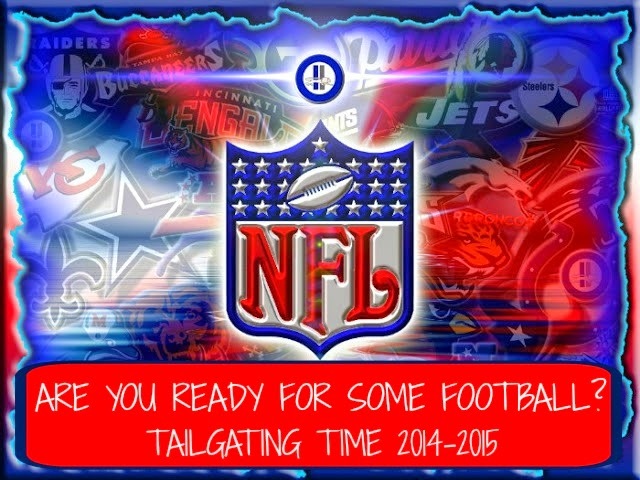 Don't forget to come join us and link up all your favorite tailgating goodies throughout the entire 2014-2015 football season! We'll open the links on opening day, September 4th, 2014! No matter who you are rooting for we'll have fun. I know not everyone enjoys football, but who can resist a good football food buffet? It's time to start thinking about tailgating treats, appetizers, chips and dips, wings, and all the other yummy party things! Having a game day buffet just makes it more festive! I remember when I was a kid, My dad was a big LOS ANGELES RAMS fan. We always watched the games together and I was responsible for keeping the game food fun. I loved spending the day with my dad and it was always such a blast to play armchair quarterback..
Martha over at Seaside Simplicity began Tailgating Time and it's just plain fun not to mention a wonderful source for new recipes to try. We will repost the linky on or around the first of each month as a reminder.